All Bows Over $300 ship for FREE! The Cadenza*** is the next step-up in the Carbon fiber/Pernambuco Hybrid bow options from Eastman. 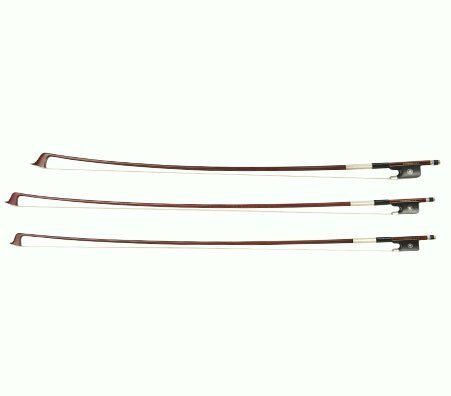 The Cadenza*** offers a silver mounted, ebony frog bow with Pernambuco faced carbon fiber stick. The Cadenza*** has the benefit of composite bow strength and the warmth and playing finesse of a wood bow.